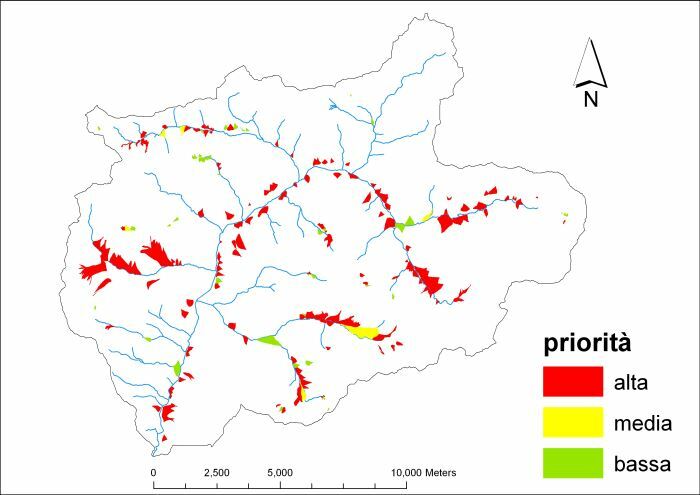 The assessment debris-flow hazard is of utmost importance in the management of alpine catchments. 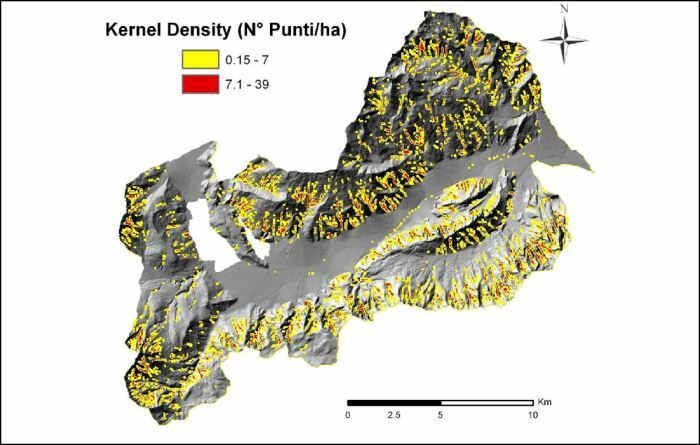 The analysis of morphometric variables of drainage basins and channels can contribute to preliminary assessment of debris-flow hazard at regional scale. 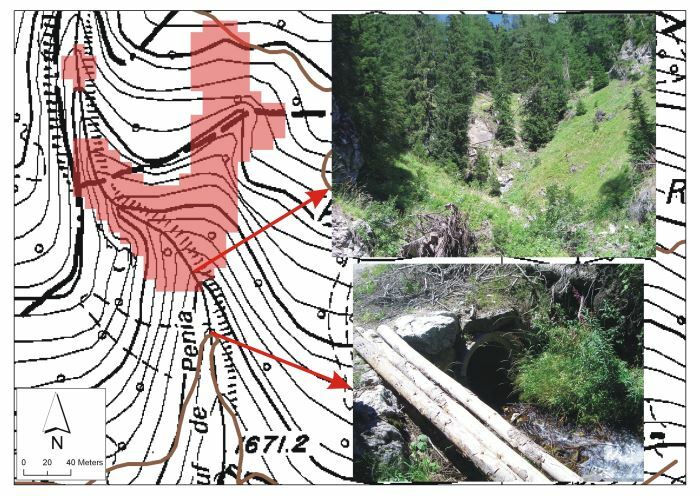 The aim of the project was the characterisation of channels and alluvial fans for possible hazards associated to triggering, propagation and deposition of debris flows. 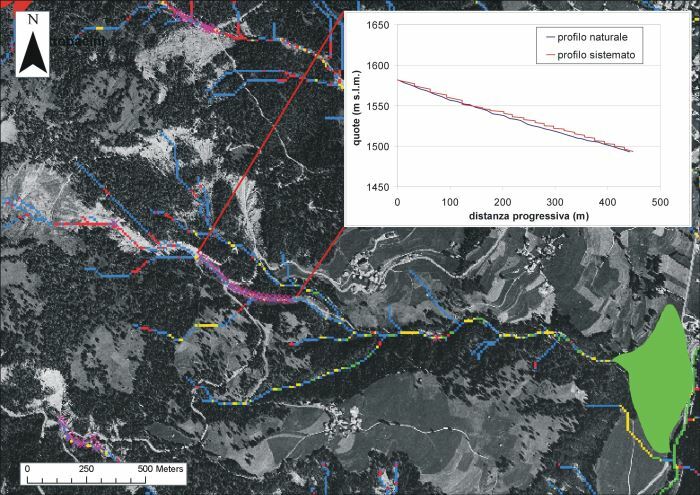 GIS procedures have been developed and applied for the recognition of possible initiation points and travel distances of debris flows. 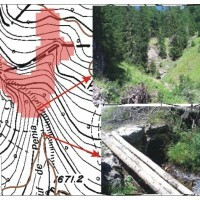 The results have been checked by means of field observations. 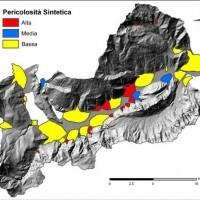 GIS analysis of morphometric variables, such as local slope and upslope area, has enabled the development of a procedure that assesses the control of topography on occurrence and propagation of debris flows in the region under study. 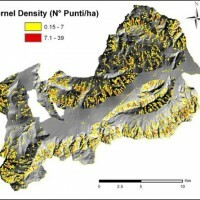 Checks in sample areas have confirmed the reliability of the method. 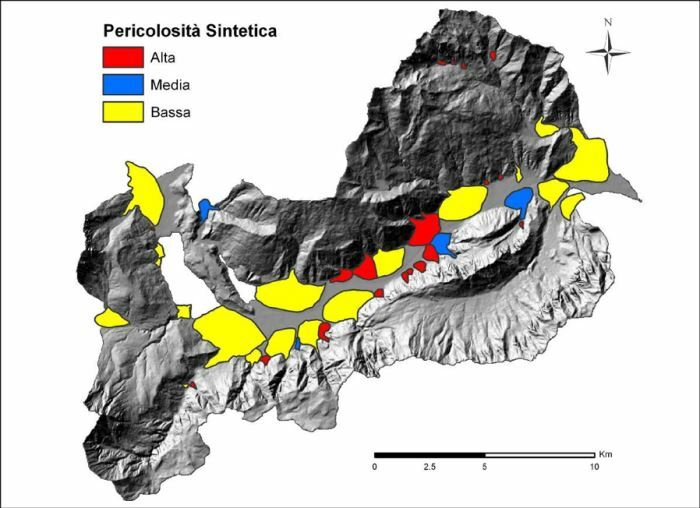 A semi-automated GIS-based procedure and informative layers on the susceptibility to debris-flow triggering and propagation in the channel network of mountain catchments of the Autonomous Province of Trento are the main outputs of this study. 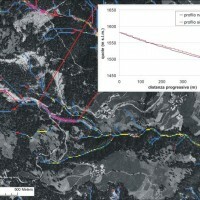 The devised procedure and the results obtained have been described in technical reports. 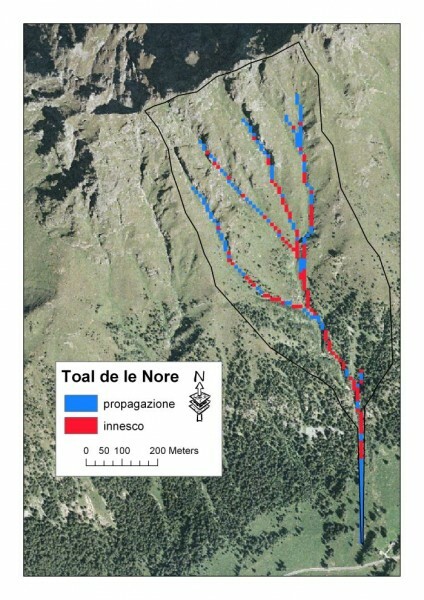 The procedure developed and applied in this study has proved suitable for a preliminary characterisation of the areas potentially endangered by debris flows, and has been utilised by the Autonomous Province of Trento for land use planning and for selecting sites deserving detailed analysis. 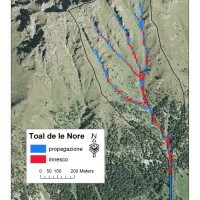 Client: Provincia Autonoma di Trento, Servizio Bacini montani.